With the intelligent microprocessor controlled ESUs, applied to minor and medium surgery. 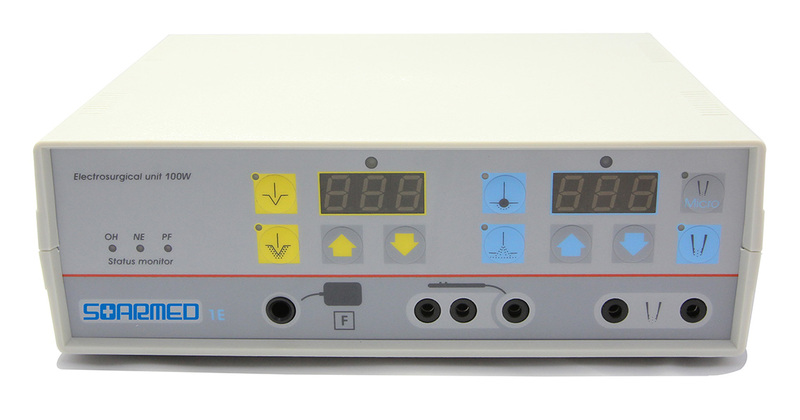 Mode 1E Monopolar & Bipolar is an intelligent, microprocessor controlled electrosurgical unit, applied to minor and medium surgery. It characterizes with reliable operation, safe s, and patient’s safety. 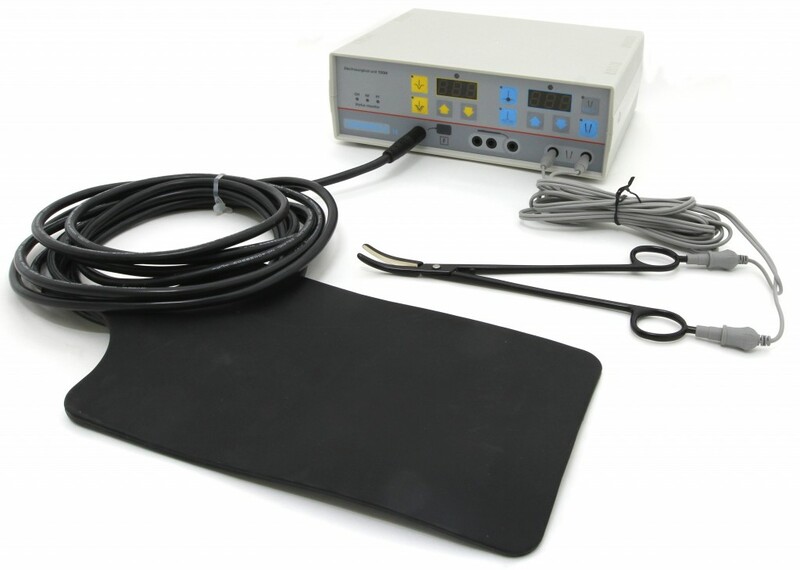 The unit has 100W maximal output power, allowing the surgeon to obtain a large spectrum of different tissue effects. with Biopsy vessel sealing forceps ( option ), Free-shaving neutral electrode( option ). Each of these modes has independent power setting, shown by digital LED indications – one 3-digits indicator per each group. A digital memory stores the last power settings. The unit can be activated by two-button finger-switched handle or by twin footswitch. Overheating (OH) and Power failure (PF) sensors as well as Neutral Electrode Monitoring System (NEMSY) increase the patient’s safety. A status monitor on the front panel indicates if some of the controlled parameters are out of the norm. If this happen, the control circuit immediately switches off the output power and generates a sound alarm.